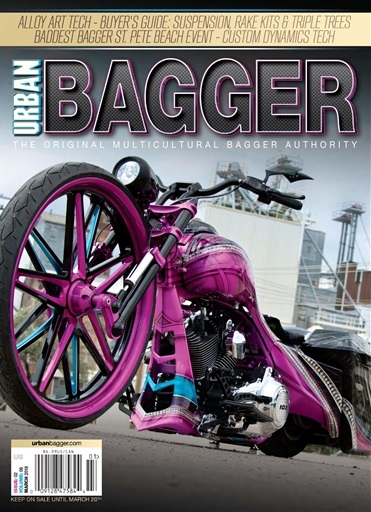 This issue features Ill Intentions' 32 Bagger on the cover! 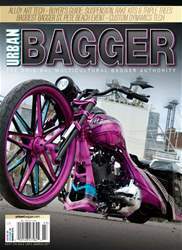 Other featured bikes are Twin Soft (built by Mike Zimmerman); Shane Bolding's 2009 Street Glide (built by Unknown Custom Cycles); and KLYMAXX (built by Kenny Williams - KW Customs). For events we take you to Randy Couture's Operation Knockout: Fight for our Troops! and the Baddest Bagger in St. Pete! Our Buyre's Guides are Suspension, Rake Kits, & Triple Trees. We also have a full lineup from the tech shop, with install articles form Custom Dynamics, Drag Specialties, Willy Shiny, and Alloy Art.